What they–and most people–don’t know, though, is is just how delicious rice can be when it’s cooked to perfection. They also don’t realize that getting it just right takes some skill and practice, too. Add too much water, boil for too long, or use too much heat, and you’ll wind up with something ranging from blah to burnt. Use the proper rice to water ratio, simmer it properly, and use your heat well, though, and it’s completely different dish. And that’s what this article is going show you: the simple science of making fantastic rice. By the end of it, you’ll know how to turn this humble little grain into something special and whip up outstanding rice with ease. So, if you’re ready to cook the best rice you’ve ever had, keep reading. The first step to cooking amazing rice is choosing the kind of rice you want to cook. For the purpose of this article, we’re going to focus on the rice most commonly eaten: long-grain white rice. The techniques you’re going to learn apply equally to all types of rice, though, so feel free to try your hand at the different varieties to find what you like most. 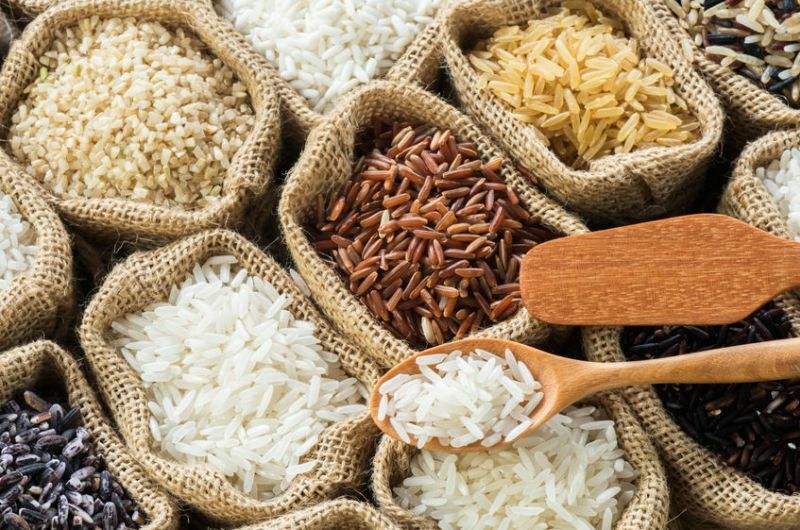 The first thing you need to know is rice comes in three grain sizes–long, medium, and short–and your choice should depend on the texture you like and the dish you’re making. For example, long-grain rice is best for a pilaf or stir-fry dish whereas medium-grain makes better sushi and dishes where you want a bit more chew. And if you want something creamy like risotto or pudding, then you’ll need short-grain to get that rich texture. 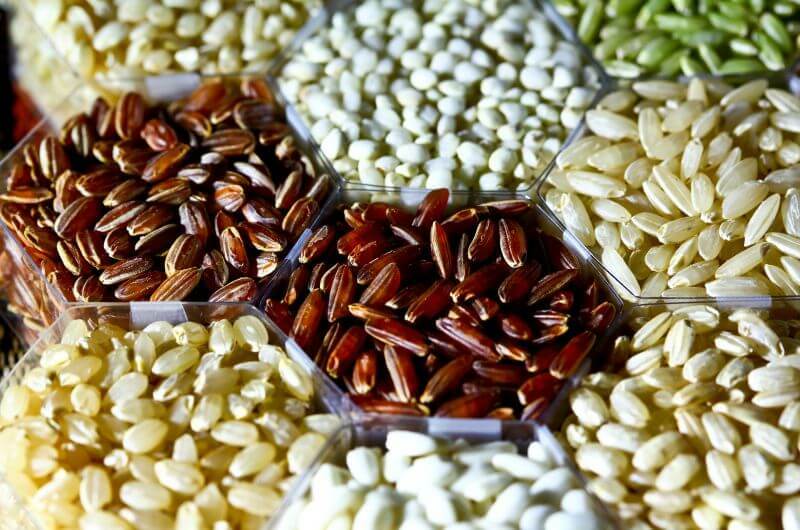 Now, there are several varieties are long-grain rice, including white, brown, jasmine (Thai), and basmati (Indian/Pakistani). These rices are the fluffiest and most forgiving because they don’t clump and stick like their medium- and short-grain counterparts. Medium-grain rices include Japanese-style rice (used to make sushi) and Bomba (used to make Spanish paella). 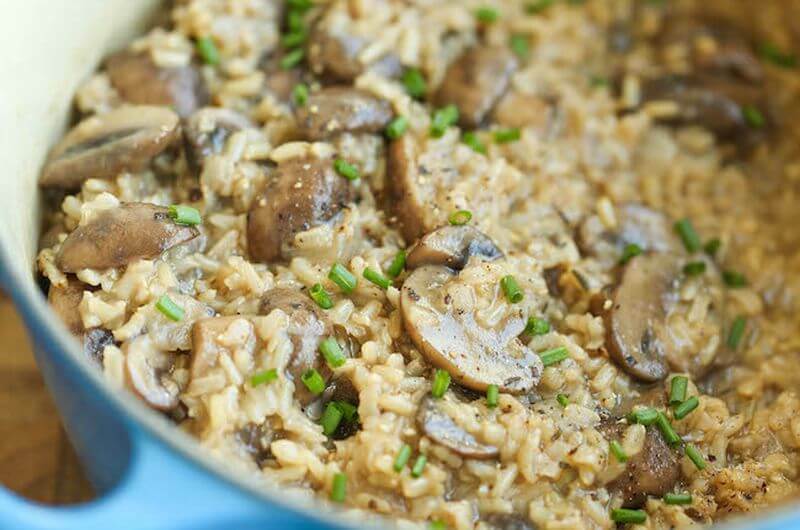 These rices are slightly sticky and have a firmer, chewier texture once cooked. The short-grain family of rice has the most starch, making it the stickiest and plumpest when cooked. For example, Arborio is the popular short-grain rice used to make risotto and rice pudding. This question warrants an article of its own, really, but I’ll give the Cliffs Notes here. The long story short is brown rice is lower on the glycemic index and more nutritious than white rice, but that doesn’t necessarily mean you shouldn’t eat white rice. Read: The Glycemic Index: Should You Even Care? If you have a healthy body fat percentage, generally eat a healthy (nutritious) diet, and exercise regularly, there’s no reason to avoid white rice. Eat the type of rice that you like most. Store your rice in the sealed bag or container it came in, and keep it in a cool, dry place. Once you open the bag or container, reseal the unused portion or transfer it to a jar with an airtight lid. Be sure to label your container with the expiration date if you’re using brown rice (it doesn’t last as long as white rice). You can also keep rice in the refrigerator or freezer to further protect it from dust and pests. 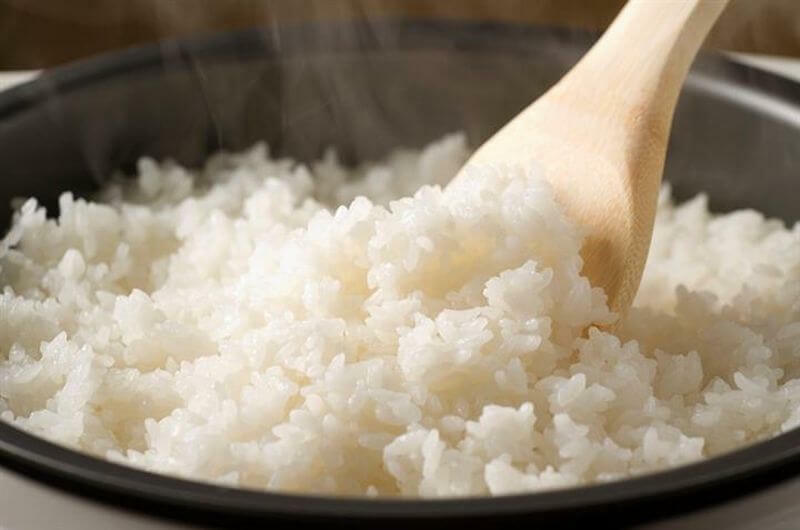 The first step to cooking perfect rice is thoroughly rinsing it to remove excess starch (and make the rice less sticky). This exception here is when you’re making a creamy dish like risotto. In that case, don’t rinse the rice first because the starch is what gives the dish its gooey texture. Add the rice to the pan you’re going to cook it in with enough water to cover it. Swish the rice around gently with your fingers until the water is cloudy, drain the pan and refill, and repeat this process until the water stays clear after swishing (3 to 5 rinses, usually). Make sure to fully drain the water out after your final rinse, too–excess liquid will throw off your rice-to-water ratio and cooking time. And that brings me to the cornerstone of cooking good rice: the correct rice-to-water ratio. Getting this right makes all the difference and requires just three things: rice, water, and a medium pan with a tight-fitting lid. For every (dry) cup of rice that you want to cook, you need to include 1 ¾ cups of water (you can toss in a pat of butter and pinch of salt too, if you like). Leave the pan uncovered and bring the rice to a boil over high heat, and as soon as the water is rolling, turn the heat down to low and cover the pot. You want to bring it down to a simmer so the rice can soak up the water and start steaming, which is going to cook the rice (not boiling water). Thus, if you hear the rice still boiling away in the pan once you’ve lowered the heat, you need to turn down the volume even more. Next, set a timer for 12 minutes and don’t lift the lid or stir the rice. You need to keep the steam in the pan. Once the timer is up, lift the lid quickly to see where things are at. If you still see water simmering, allow it to cook for a couple more minutes, but keep a close eye on it. As soon as the liquid is absorbed (no water visibly shimmering) and the rice looks plumped, remove the pan from the heat. Don’t take the rice out of the pan just yet, though. To be sure your rice has that perfectly even, fluffy texture, you have to stir it and then let it rest in the pan with the lid on for at least 5 minutes (you can experiment with different rest times, too, up to 30 minutes even!). Finally remove the lid and fluff the rice with a fork. Now it’s ready to serve! If you have leftover rice or are meal prepping, allow the rice to cool before storing it. Then place it in an airtight container and refrigerate. Cooked rice will keep this way for 4 to 6 days. You can also freeze it for up to 6 months. This is one of the beauties of rice. It’s super easy to reheat and, when done properly, tastes great every time. The most foolproof way to reheat your rice is in the microwave. 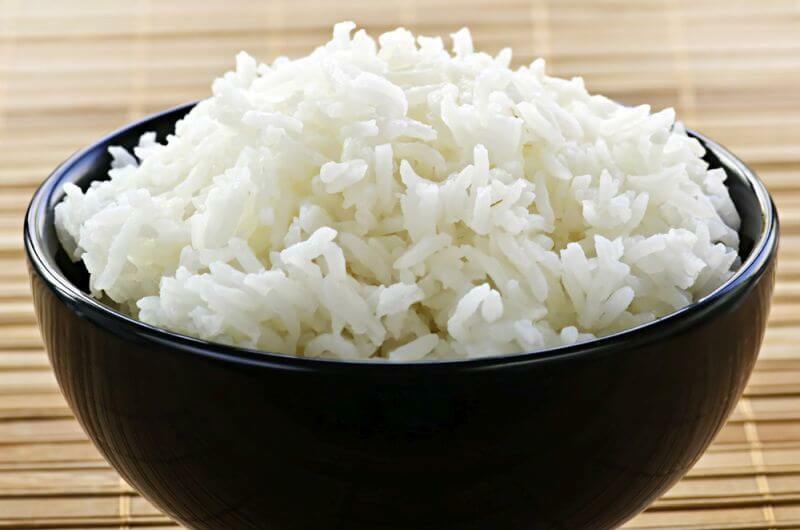 Place the rice in a microwave-safe dish and add a splash of water per serving fist-sized serving. Then, cover the dish and cook on high for 30 seconds, allow the rice to sit for about 15 seconds, and fluff it with a fork. Repeat heating and fluffing in 15-second intervals if you’d like the rice to be hotter. If you’d rather reheat on the stovetop, add the rice to a saucepan with a splash of water per serving, cover, and heat for 5 minutes over low heat. Heat some vegetable or peanut oil in a wok or saute pan and then add the rice. Break up any clumps and stir it to make sure it’s evenly coated with oil. Continue stirring until the rice is heated through and golden. Throw in an egg and some leftover veggies, keep stirring, and voila, you’ve got delicious, revamped leftovers! Once you can make a killer pot of rice, you’re ready to go beyond the basic. Give these easy and delicious recipes a try and I think you’ll be pleasantly surprised how flavorful “healthy” food like this can be! 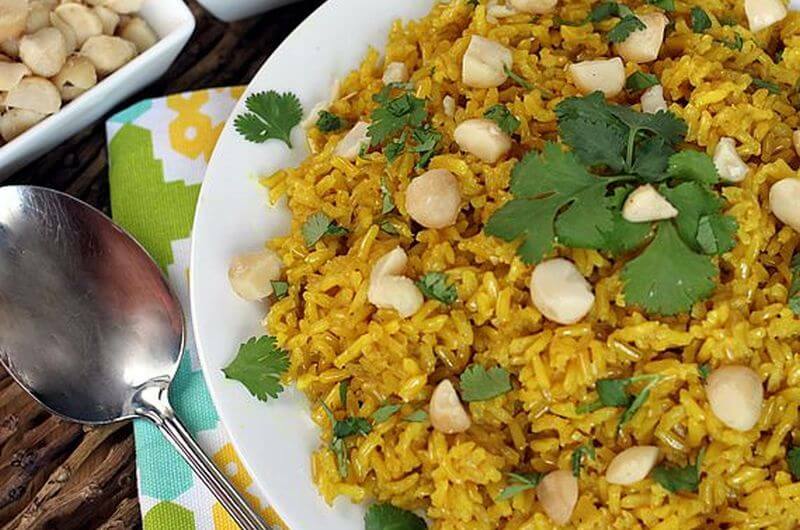 Everyone knows that rice is a simple source of carbs, but not everyone knows how good it can be when it’s well prepared. Choose the right type of rice for the dish you’re making. Store it correctly so it stays fresh. Thoroughly rinse long-grain rice before cooking. 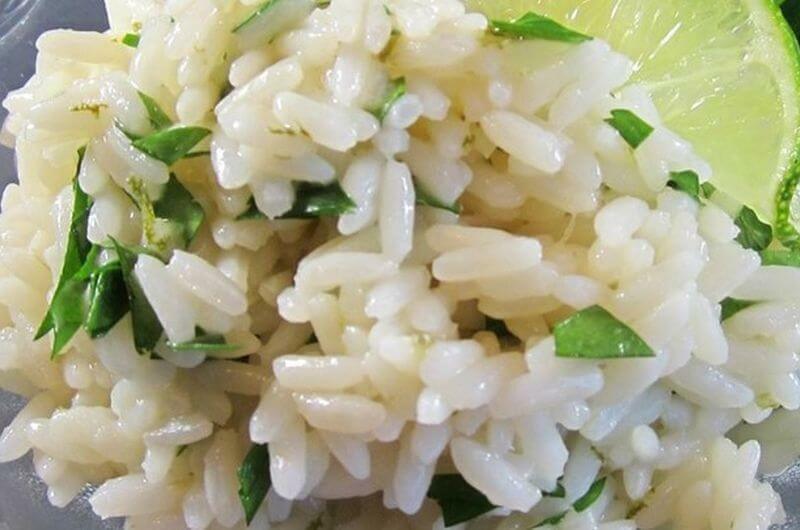 Use the right ratio of water to rice. Bring it to a boil and then let it simmer. Don’t stir or uncover the rice while it’s cooking. What’s your taking on cooking great rice? Have anything else to share? Let me know in the comments below!